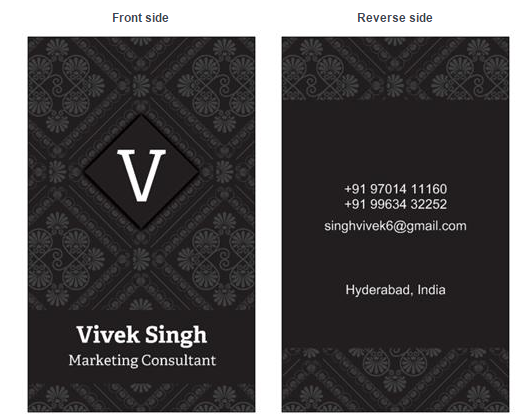 I have started my own consulting business and one of the first things I needed to have was a business card. Instead of designing on my own, I chose a website this time. After I chose the layout and typed my content, I came across some good tips about design. I found these tips really useful. Use these as a check-list after you have designed your slides. Is the text colour contrasting well with the slide background? Is my text/ image overlapping anywhere?